Kimoyes item: 21977 - Kimono silk with a shot of yellow/green and various orange shades. Kimono silk with a shot of yellow/green and various orange shades. 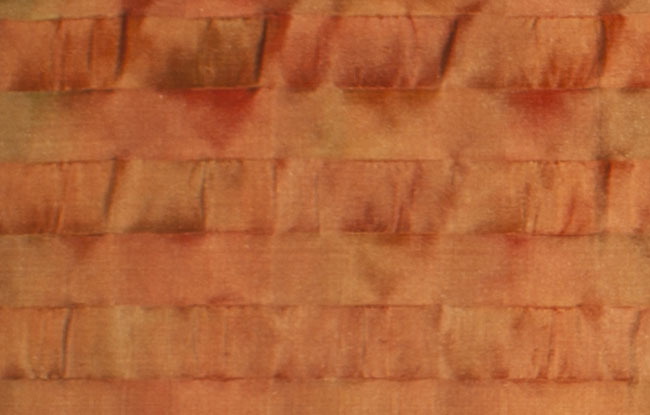 In addition, this silk fabric is highly textured with gentle gathers between flat stripes. Very interesting firm silk.